When shipping any material from a laboratory on campus, please be aware that the material may fall under several federal regulations from the Department of Transportation (DOT) and the International Air Transport Association (IATA). 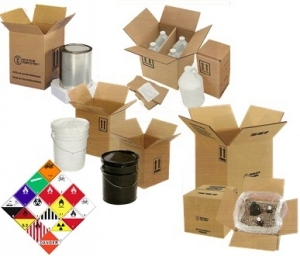 These hazardous materials or sometimes called dangerous goods, may even include items that are not normally considered as such. For example: lithium batteries, paint, aerosol cans, etc. 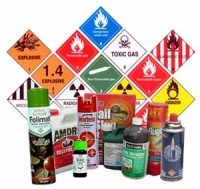 Other common dangerous goods are: airbags, butane, car batteries, dry ice, fireworks, gasoline, jet fuel, lighters, matches, nitrogen-refrigerated liquid, chemicals such as solvents, oxidizers, reactive material and corrosives and poisons, and many more. DOT regulates domestic shipments within the United States by rail, air, vessel (ships/boats), and motor carrier (ground). IATA regulates only shipments by air both domestically and internationally. When shipping by air, IATA regulations are always used for hazardous materials/dangerous goods. Each carrier (for example: FedEx and UPS) have special provisions that must be met before hazardous material packages can be transported. 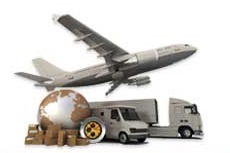 In addition, when transporting internationally, the destination country may have additional and/or different requirements for these type of shipments. Please send any questions or concerns about a shipment to: artscishipping@uky.edu. In order to guarantee same-day shipment of your item, please have contacted or completed the above form no later than 2 pm*. *Please note: due to multiple requirements by the DOT/IATA organizations, your shipment could be delayed if proper shipping supplies (e.g. boxes, labels, etc) are not available or if there are difficulties determining the hazard identification of your material. Please plan accordingly and contact shipping support or complete the shipping request form as early as possible when you are going to be shipping a material from the lab.